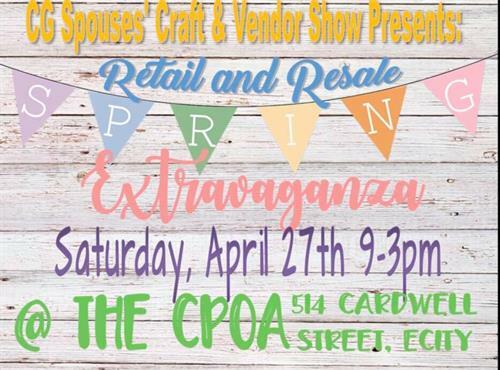 Join us on Saturday, April 27th as we welcome indoor and outdoor vendors to the CPOA for lots of shopping, socializing and selling! We welcome all military spouses, active, retirees, CPOA members and their spouses, etc. Email cgscecvendorcraft@gmail.com for an application. Thank you for your interest in this event! !